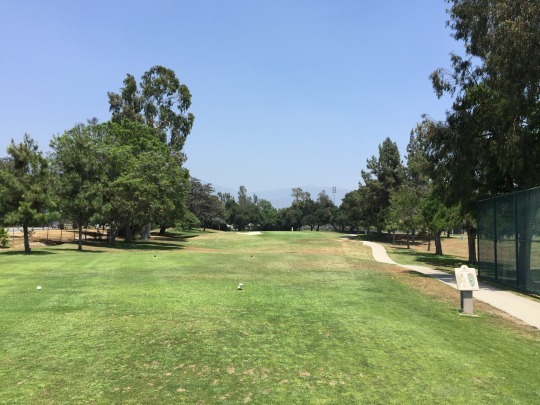 Some golf buddies and I got together for an early morning round yesterday at San Dimas Canyon, which I reviewed fairly recently and things haven’t changed too much. 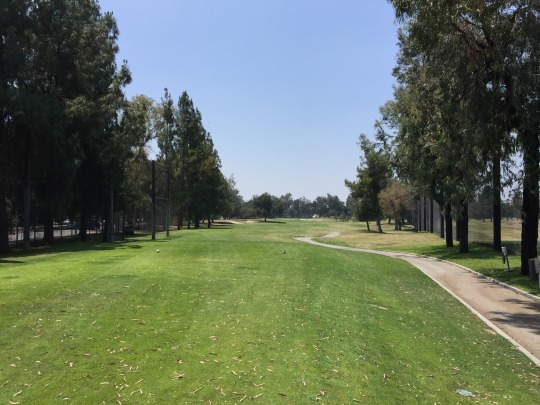 If anything, the fairways have actually gotten worse there, which was sad to see. 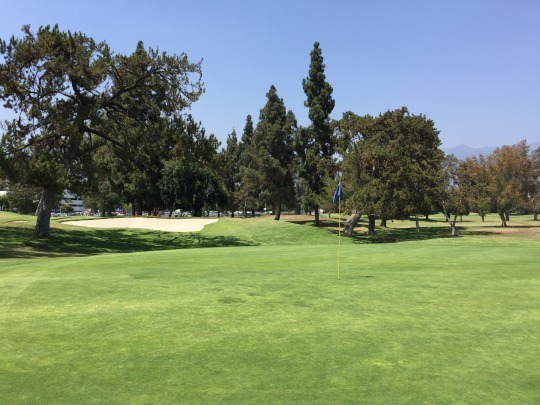 Nonetheless, this article will focus only on the afternoon round at Santa Anita Golf Course. In some ways, it felt like visiting an old friend. 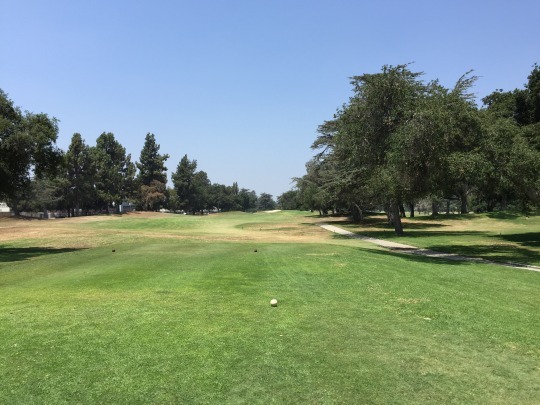 I used to have a regular group of guys and we played together almost every weekend on various LA County Courses, as well as the Long Beach courses. They were residents and had early booking privileges for all these courses. For whatever reason, Santa Anita was always the easiest for them to book early morning weekend rounds. We probably ended up here a couple times a month on average and it was always a solid track to enjoy. That was probably close to 10 years ago, though, and I haven’t been back to Santa Anita since. 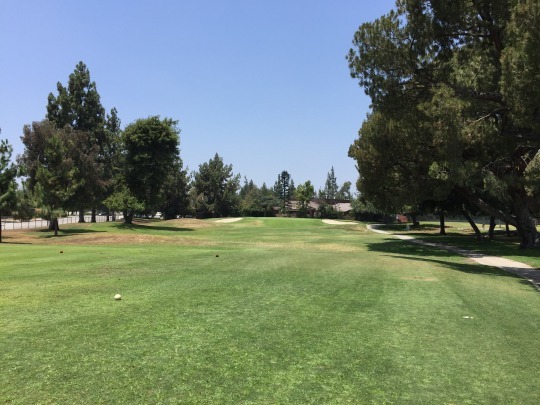 Like all the county courses, it does tend to get crowded and good deals aren’t always easy to find. 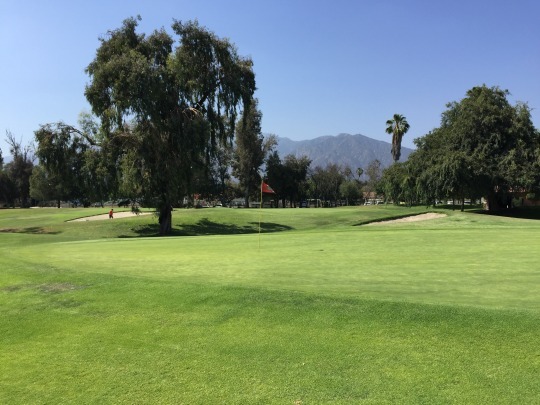 These days, they are on GolfNow, so some hot deal times are available. My friend and I were able to book a 12:30 time for $29. That’s still not an amazing deal compared to others that are available at better courses around SoCal. 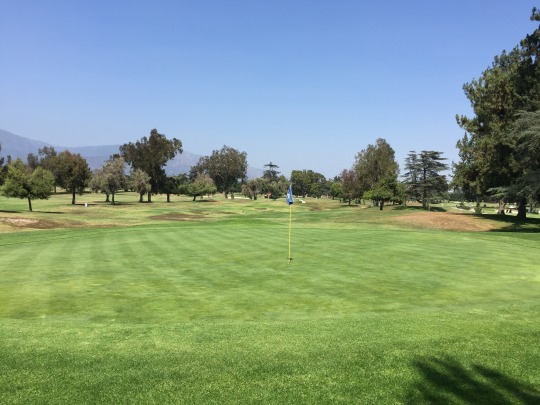 However, that’s about as good as you get at one of these popular county courses. We arrived early and they let us tee off early as a twosome at noon. There were plenty of players out on the course. It wasn’t super crowded by Santa Anita standards, though. We waited on most shots, but still finished in right about four hours. 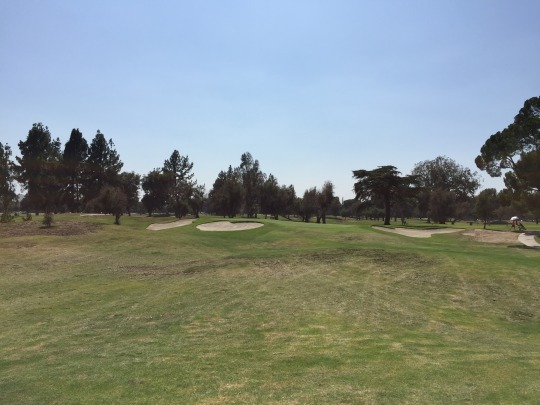 Naturally, I have a soft spot for the course and I always enjoyed the layout. It’s a pretty traditional parkland kind of course, yet it does have some interesting features. 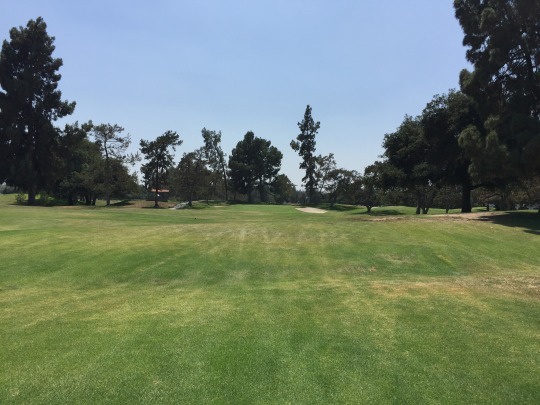 There is a lot of mounding and unevenness in many of the fairways. Supposedly, some of these mounds are actually old trolley cars that were buried on the property as the course was built. 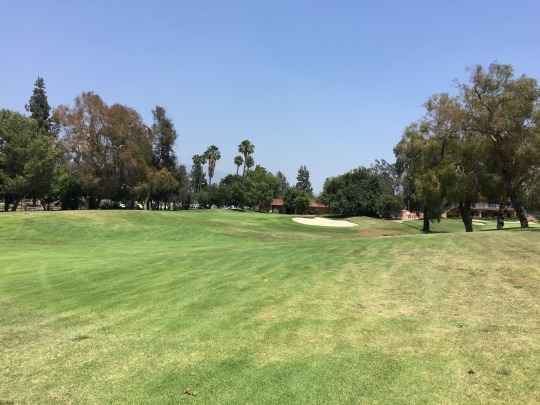 The 18th hole is the most extremely lumpy fairway and it’s a fun finisher as a long dogleg right. Otherwise, the course runs back and forth. 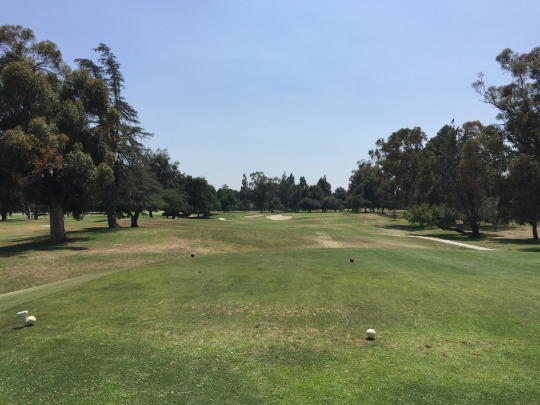 It’s fairly forgiving from tee to green, but not what I’d consider an “easy” course either. There is a good mix of holes with doglegs both ways. 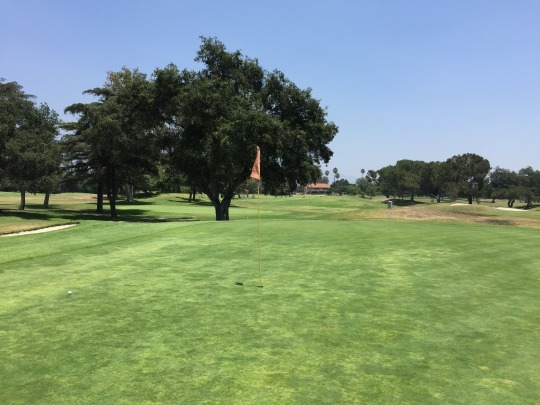 There are short holes that allow you to be aggressive and long ones that require two really good shots to get home. 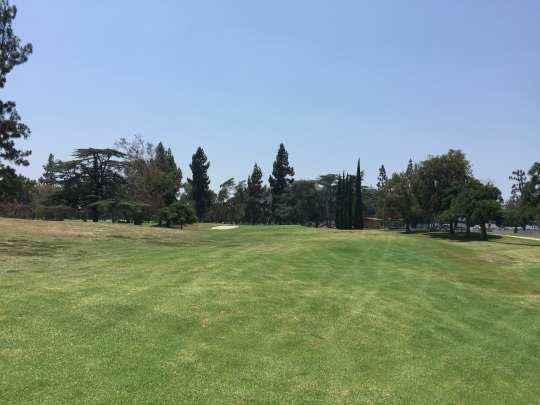 The layout doesn’t favor a draw or a fade (certain holes do shape one way or the other, but it’s an even distribution) and you will use just about every club in your bag before the round is over. There are no water hazards on the course. 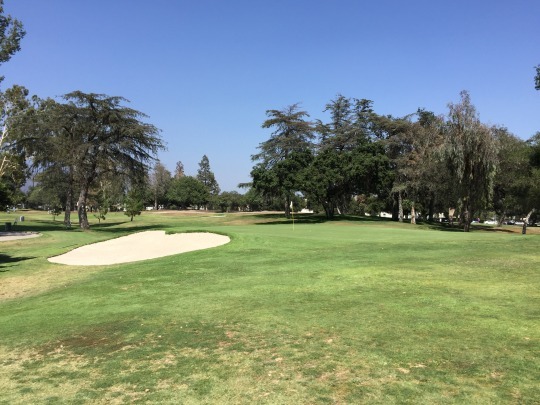 Even though it has some subtly distinctive qualities, I still don’t consider Santa Anita anything too exciting, but it is a good classic style course and easily one of my favorites in the LA County owned group. 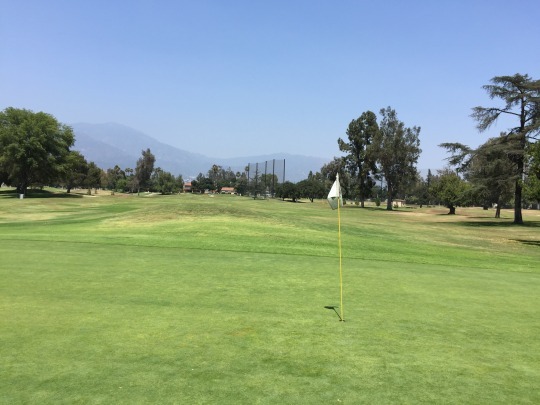 Returning to Santa Anita was a little bittersweet for me. As nice as it was to play the course again, the current conditions left a lot to be desired. The course was in pretty mediocre shape. The tee boxes were fine enough to tee it up I guess, but the ground was super firm underneath. 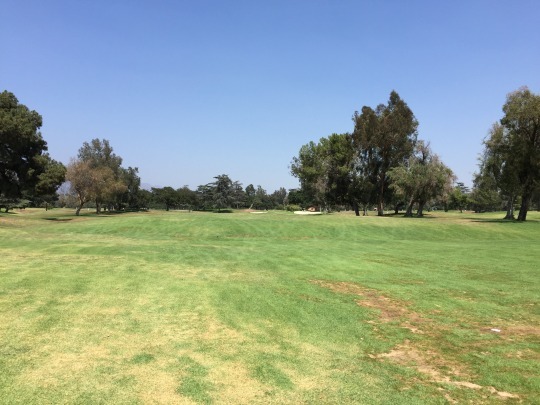 The fairways and rough had a lot of dead spots. In the sections where there was grass (some holes better than others), the grass was very nice. However, it seemed our balls always ended up in hardpan or patchy areas with not-so-desirable lies. The “rough” was even uglier. I will say things did get nicer here around the greens. 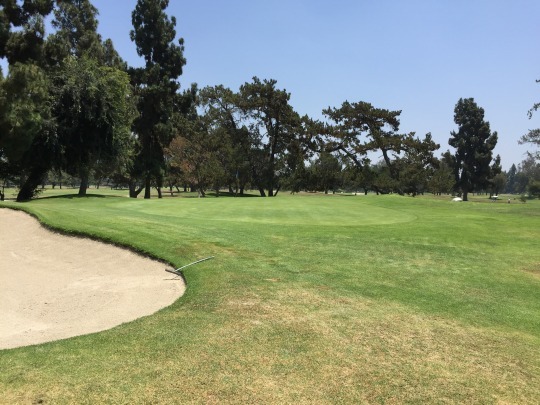 The collars and rough around the greens was much better kept than the fairways. The bunkers here were pretty nice. The greens were on the slow side and didn’t always look that great, but they rolled decently enough on most putts. 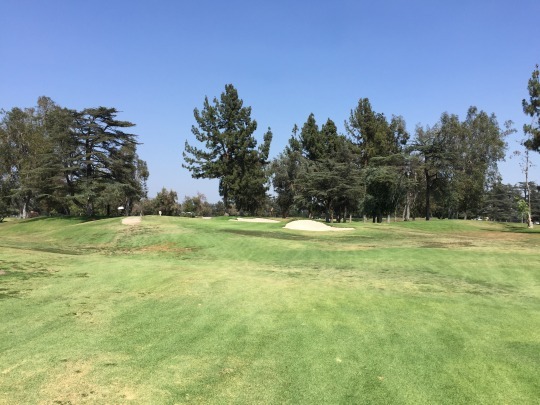 For the right price and with the right timing (meaning not getting stuck in a 5-6 hour round), Santa Anita Golf Course is well worth the visit. It’s a pretty good old school layout that has some sentimental value to me personally. That said, it seems the conditions have gone downhill in the years since I last played here and hopefully they can improve things. It was never pristine before, but it was much better than it is now. 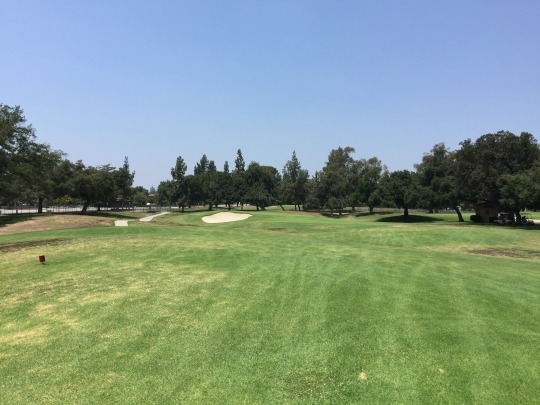 San Dimas was also pretty mediocre in the morning as I mentioned, so perhaps it’s all the LA County courses suffering amidst the drought. Let’s hope things turn around!